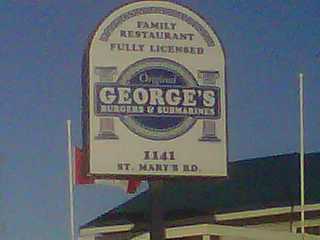 And what is it that you go to Georges for?? So if your looking for a “real” burger, forget the reheated piece of cardboard you get at the fastfood chains, and head to George’s and sink your teeth into this beauty. WE haven't tried this one and we live ten minutes from it. 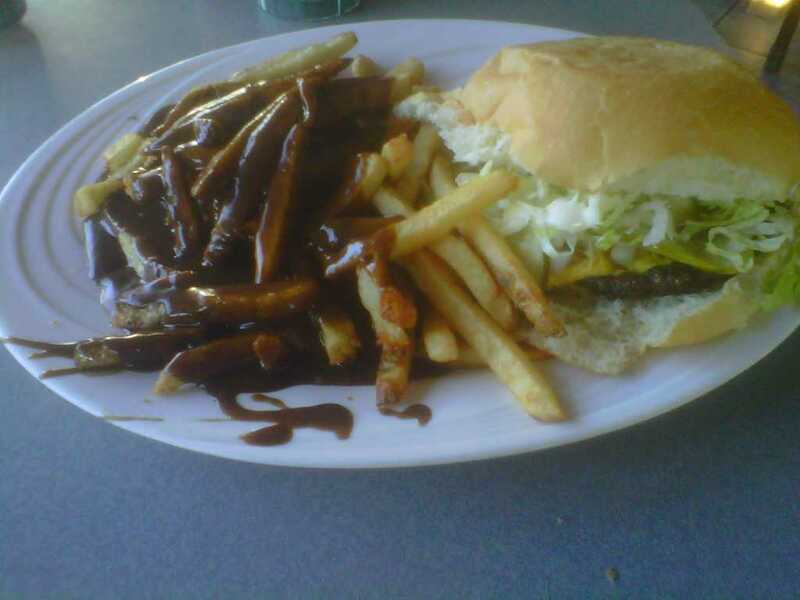 Try Lovey's Barbecue on Marion, or the Red Top Drive Inn on St. Mary's South. I'd like to hear your opinions on those places. For great sandwiches and homemade soups try the White Horse Emporium at St. Francic Xavier. Good work, Awat!